It’s a commonly held assumption that there are really no drugs that can help a chess player. Sure coffee or a chocolate bar might keep you more alert but they don’t really do anthing more than that. The following article, sent by local chess master John Donaldson by Patrick Hruby, suggests that this may no longer be the case in the a few years. 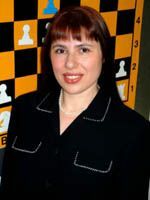 Susan Polgar will never be mistaken for Jose Canseco. For one thing, she’s a mother of two; but more to the point, she’s far too smart. A four-time women’s world champion in chess, Miss Polgar lifts kings and queens, not dumbbells and subpoenas. So imagine Mrs. Polgar’s surprise when officials asked for a urine sample after her four-medal performance at last year’s Chess Olympiad in Calvia, Spain. ‘Doogie’ mice The year is 1999. Princeton University scientists are studying two groups of mice: one normal, the other given extra copies of NR2B, a gene linked to memory and learning. Both types of mice are dropped into a pool of water. The modified mice find a hidden escape ramp twice as quickly as their normal counterparts. In other tests, the NR2B mice show improved memory. Scientists nickname them “Doogies,” after precocious television doctor Doogie Howser. In football terms, the Doogie mice are pro star quarterback Peyton Manning, the others are quarterback bust Ryan Leaf. “Imagine a quarterback who has improved ability to memorize and recognize defensive schemes,” said Dr. Williams, who works with the Los Angeles Lakers, Dodgers and Kings. “That could have a significant effect on the win-loss column.” Safe and effective human genetic therapy remains years away. Still, the athletic implications are profound. Beyond his “flaxseed-oil” physique, what makes San Francisco Giants slugger Barry Bonds fearsome is his baseball IQ — his ability to discern good pitches from bad ones, to lock in and crush a pitcher’s mistake. Modafinil and beyond Imagination isn’t necessary. Two years ago, American sprinter Kelli White swept the 100 and 200 meters at the track and field world championships in France. She also tested positive for modafinil, a drug used to treat the sleep disorder narcolepsy. That year, five other American athletes were caught taking the same medication, which according to Cambridge University researchers can boost memory and motor control in healthy people. “This drug allows you to be very focused,” said Dr. Olivier Rabin, science director for the World Anti-Doping Agency (WADA). “I have a friend who took it when driving at night. He said it was almost like driving in the day.” Modafinil since has been placed on WADA’s banned substance list. As other drugs with cognitive effects that could give athletes an unfair competitive advantage are developed, the list is likely to lengthen. Nobel laureate Eric Kandel, a leading memory scientist, predicts medications for age-related memory loss will exist within the next decade. Donepzil, an Alzheimer’s disease drug, already has been shown to increase the concentration and alertness of pilots in a flight simulator. Johns Hopkins University scientist Daniel L. Alkon is working on two promising medications: One that enhances learning; another that helps short-term memories become permanent. While both drugs are designed to treat neurological disorders, they could augment healthy people in the same way that steroids used to alleviate AIDS-related wasting can build bigger muscles. “We test our drugs on animals that are compromised with Alzheimer’s genes, and also on normal animals,” said Mr. Alkon, scientific director of the school’s Blanchette Rockefeller Neurosciences Institute. “We want to see if it enhances their memory. I think inevitably that will happen.” Memory is just the beginning. Consider the protein IL-6, which spikes in the body after long workouts and signals the brain that muscle tissue is breaking down. When flooded with IL-6, the brain prevents additional harm by creating a feeling of exhaustion. Develop a drug that blocks the brain’s IL-6 receptors, researchers at the University of Portsmouth speculate, and you could blunt fatigue. The downside: Increased injury risk. If your arm feels ready to fall off, there likely is a good reason. Similarly, a focus-enhancing pill could work too well — after all, a batter needs to concentrate on a high-and-inside fastball, but not so much that he neglects to duck. Add in the seeming interdependence of various brain functions, and Dr. Williams wonders whether mental boosters will violate the first rule of medicine: Do no harm. “You’re taking all these medications to increase memory,” he said. “What about information overload? You’re talking about changing brain chemistry, or even changing the anatomy of the brain.” Remember the Doogie mice? Additional tests showed they not only were smarter, but also more sensitive to chronic inflammatory pain. “There’s a known relationship between cognition and mood,” Dr. Williams said. “The more people remember, the more intently focused they are, the more they tend to have depression. It’s the old statement, ‘Ignorance is bliss.’ ” Not always. If a pill possibly aids performance, Mr. Yesalis said, athletes will take it; if a pill definitely aids performance, athletes will take two dozen. Brave new world? Nor do they wait. Ritalin, a prescription drug, is used to treat attention deficit disorder. It also is used by students cramming for exams and professionals looking for a productivity boost. An elementary school janitor in Indiana swiped the drug from her school’s nursing office, hoping it would speed her cleaning. The drug has penetrated sports, too. “I’ve spoken to athletes on the college and high school levels who readily admit, ‘Yeah, I know guys who pop a Ritalin just before game time,’ ” Dr. Williams said. “That’s happening now. They do it for improved focus.” Which hardly makes them unique. According to the scientific journal Nature, Americans spend $1 billion a year on dietary supplements claiming to boost brain power. The demand for cognitive enhancers already exists. As medicine advances, the supply will catch up. When that occurs, sports organizations will face an ethical dilemma: Should they prohibit the same drugs eagerly embraced by the rest of society? “If and when these drugs have a real effect on normal people, they are going to put Viagra to shame,” said Dr. Paul Root Wolpe, NASA’s chief of bioethics. “Look at the market for Prozac, for Ritalin. Should such a future come to pass, count chess champion Polgar among the naturals. For her, sport is a matter of self-expression, not advanced pharmacology. Besides, she isn’t even keen on the only substance currently thought to improve chess performance. “I don’t really drink coffee religiously like some chess players,” she said with a laugh.